Case Study: How to Break a Client into a New Market	|	Food and Beverage Marketing, Advertising and Branding | Brightly creative. | A craft marketing, advertising and branding agency focused in the food and beverage industries. Breaking into a new market is always a challenge, regardless of the product or service. In 2017, Brightly Creative was tasked with breaking the National Honey Board into the craft spirits market. The goal was to replicate the success we had three years earlier breaking honey into the craft beer industry. The distilled spirits category is evolving similar to the beer industry, just about five years later. While the major global players still control a lion’s share of the market, small craft distilleries are opening throughout the United States. For most of these craft distilleries, honey is not on their radar. In the overall spirits industry, honey whiskeys had a massive resurgence about five years ago, which still exists today. Having major brands in the industry, such as Jack Daniels and Wild Turkey, using honey would normally be a massive advantage for us. But it’s not necessarily in this case. Keith telling the story of how honey makes it from the flower to the bee to the bottle. Many of the craft distilleries we were targeting were not fans of the flavor profiles of the honey whiskeys currently being produced by the major players in the industry. They felt they were just a “sweetened” version of their existing product and believed honey’s depth of flavor was not fully realized. Another disadvantage we faced was honey’s use in the spirits industry was generally confined to the whiskey and specialty liqueur categories. If we truly wanted to make an impact, we needed to expand honey’s reach to gin, rum, brandy, vodka and even tequila. Obstacle: Current made with honey spirits were a poor representation of honey’s potential, and the sweetener’s use was confined to a couple of categories. This is often our favorite part of any project. At Brightly Creative, we pride ourselves in complete immersion into our clients and the target audiences. We go deep, and for this project, we started by focusing our research on three areas. In our work with various clients, we’ve become quite knowledgeable on how things are made. We know our way around a bakery and can recite the steps of the brewing process by heart. For distilled spirits, we knew we liked them, but we didn’t know much about how they were made. We bought the books, read online articles and familiarized ourselves with the distilling process and the equipment and ingredients used. With the knowledge of how spirits are made, we dug deep into the major players, innovative craft distilleries and the trends shaping the marketplace. All was done with a constant eye on how honey could play a role in the future of the market. This was our favorite step. We found all of the made with honey spirits we could find on the marketplace, researched them, called some of the distillers and ordered some of the products so we could taste. We looked closely at how the honey was marketed on the package and how the distillery promoted the spirit on their website. Taste was important as well, as we wanted to see if honey was used to “sweeten” the product or to provide a depth of flavor. You can only take your knowledge of a topic so far online and through books. To truly grasp your audience, you need to meet them in person. We accomplished this through exhibiting at the American Craft Spirit Association’s annual trade show. This is a small trade show, so it allowed us to get maximum insight at a minimal investment. Our time at the trade show proved fruitful as we met our target audience and talked to them about the potential of honey. We were able to gauge their interest and find out what aspects of honey appealed to them. With this knowledge, and phone calls with a few key players in the industry, we were ready to kick off phase three. Distillers are the best focus group. Tasting six varietals of honey with six types of spirits. One of the key learnings in phase two was the lack of knowledge on how to use honey in the distilling, other than to back-sweeten an existing product. And even with this straight-forward use, there were quite a few questions on filtering, handling and micro-organisms. We transferred these key learnings into the outline for our technical research. To truly make an impact in the industry, we knew we just couldn’t shout at people to use honey. We had to give them more. Advertising would only get us so far when there was a technical knowledge deficiency about honey’s use. To develop the technical research we needed, we employed the services of an outside consultant with extensive experience working with distilleries. We spent the better part of the spring and summer testing, tasting and defining various methods and best practices for using honey both as the primary distillate in a spirit and as an ingredient to back-sweeten a product. Phase Four: Honey Spirits Summit Heading into summer, we were pretty well equipped to break honey into the spirits industry. We started an aggressive public relations campaign and even dipped our toe a bit into online advertising that would generate leads. However, to make a sustainable and meaningful impact, we knew we needed to push further. Although we had a great base of research and many reasons why honey should be used in the spirits industry, we knew we needed an expert audience to fine-tune our message and set us up for success heading into 2018. 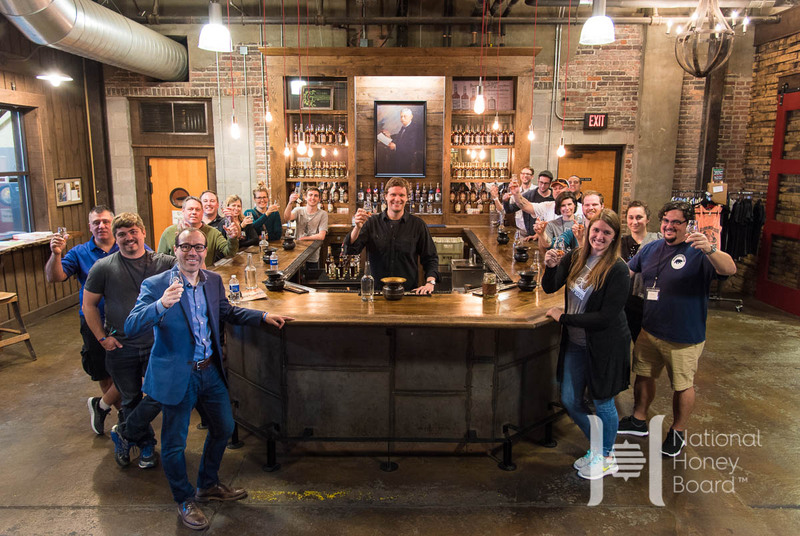 Group shot from Honey Spirits Summit, taken at Nelson’s Green Brier Distillery in Nashville. 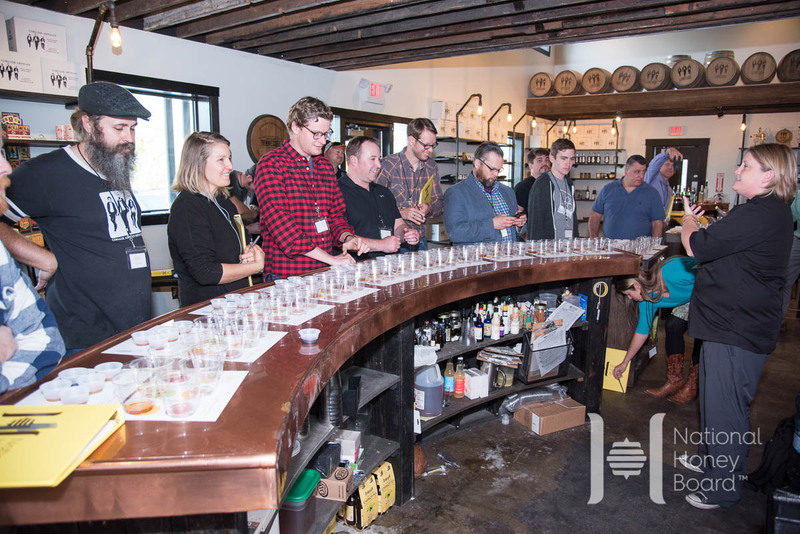 We accomplished this through hosting a Honey Spirits Summit in October in Nashville. For this event, we selected and invited 25 of the top craft distillers in the United States to a two-day event that would consist of us presenting our research, educating them on honey’s composition and story and tasting countless honey varietals and made with honey spirits. We’ve conducted similar summits in the baking and brewing industries, so we understood not only the value we would be providing to the invited distilleries, but we also knew how to maximize our time spent with them to dig even deeper in understanding honey’s potential in distilling. Our first goal for the Honey Spirit Summit was enlisting a couple of key craft distilleries in Nashville to craft a honey spirit. We found three great ones. We sent them honey and let them be creative. There efforts were part of the core of our agenda, as they gave us a “third-party” to talk about their experience with distilling with honey and then conducting tastings of their honey spirit. Our second goal was to fill out the rest of the agenda in a manner to form a conversation between us and our audience. If we were to spend two days shouting our message at the audience without listening and engaging them, we would have left Nashville with little in return. Instead, we capitalized on having 25 experts in their industry collaborating with us for a couple of days. We turned tasting sessions into sensory panels that will guide future recommendations for how to use honey in spirits. We asked a lot of questions, which will be used to outline 2018 technical research projects. And, we developed deep relationships with 25 members of our core audience that go beyond the typical customer relationship. 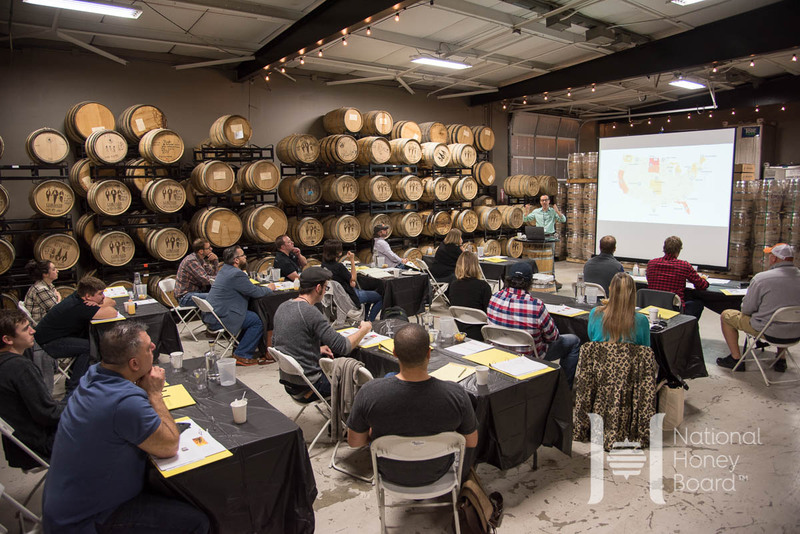 Even better, many of our attendees took the knowledge they gained back to their distilleries and immediately started formulating new spirits made with honey.